When Vince Mottola Jr. told his mother he was planning to close the Rainier Beach restaurant named for his late father, Ada Mottola was not happy to hear the news. “She has all her memories of the restaurant business at this location,” said Vince Jr., who will shutter the Rainier Beach classic at the end of March. “My parents started the restaurant in 1957 on Martin Luther King and Othello,” before relocating down the road to 8824 Renton Avenue South in 1963, recalls the co-owner of a family of Vince’s Italian Restaurant & Pizzerias. 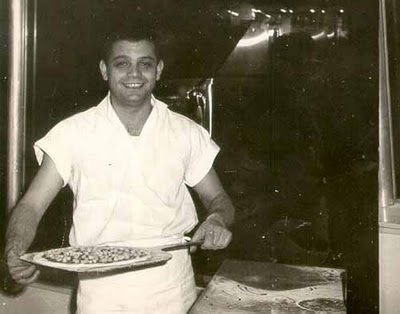 Vince “Enzo” Mottola Sr. and his Neapolitan-style pizza, back in the day. 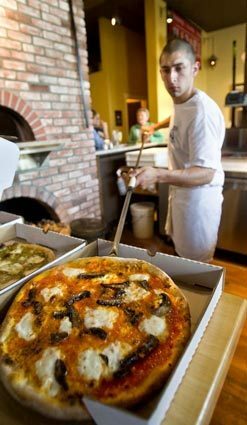 Today, Mottola Jr. and his business partners also own long-lived Vince’s locations in Renton (since 1973), Federal Way (1980) and Burien (1984), as well as the latest family member: Pizzeria Pulcinella, the bella bambina that made its splashy Rainier Beach debut in 2008. “Sometimes, we’re identified by a new generation of guests as ‘old-school.’ But places like Buca di Beppo copied and expanded on what we do here” — where Frank Sinatra is a patron saint and high cuisine is veal Parmigiana.